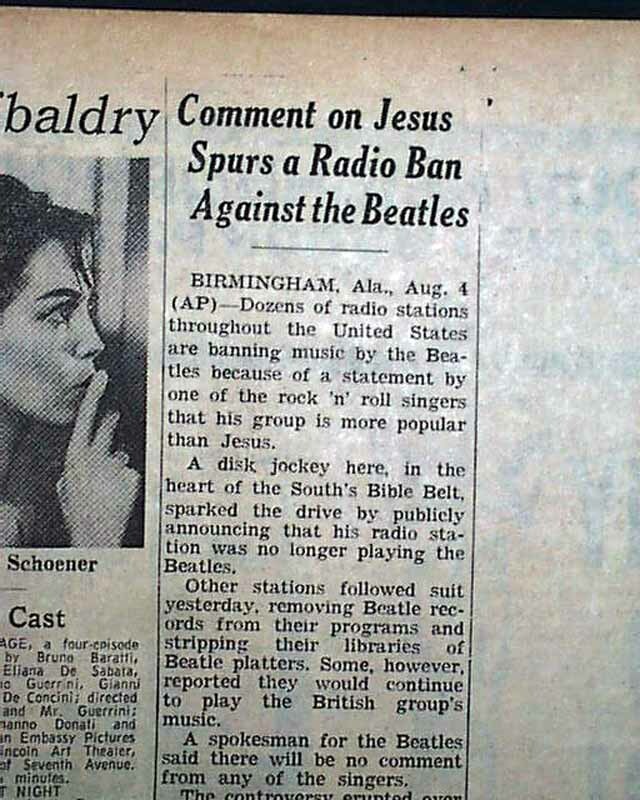 Page 20 contains a one-third column article titled: "Comment on Jesus Spurs A Radio Ban Against the Beatles" which is on the controversial comment by John Lennon that "...his group is more popular than Jesus...". See the photo for the full report. 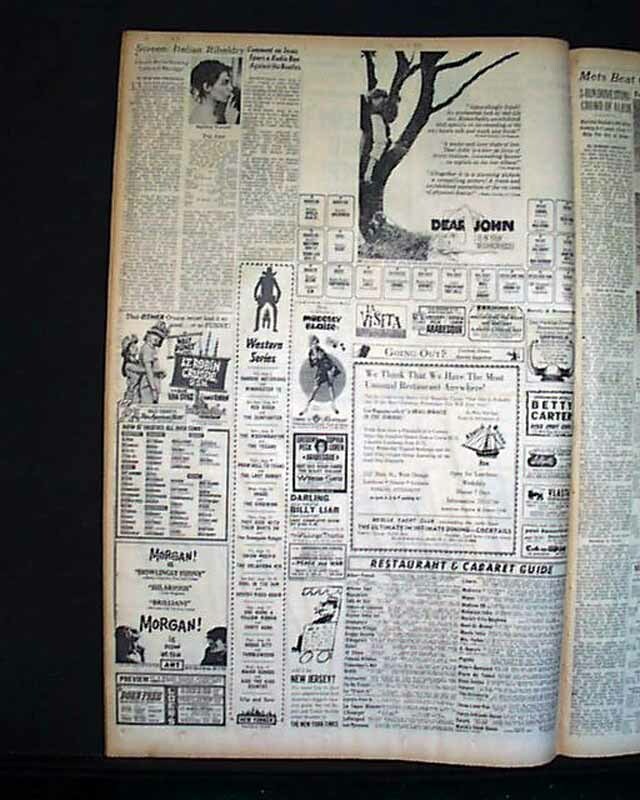 Other news, sports and advertisements of the day are within. This is the complete 62 page issue and is in nice condition. 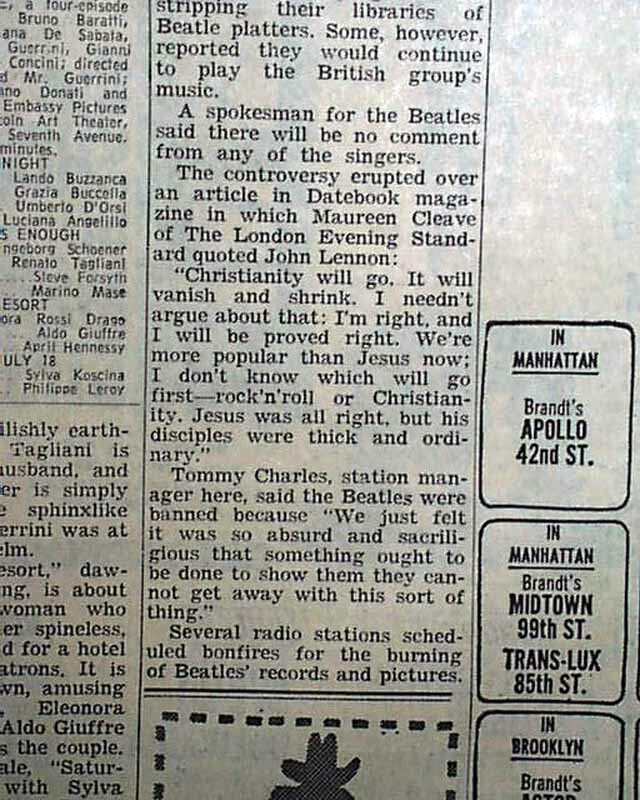 Angry reactions flared up from Christian communities in August 1966, after John Lennon's remark that The Beatles had become "more popular than Jesus" was quoted by the American teen magazine, Datebook. Lennon originally made the remark when an English newspaper reporter, Maureen Cleave, interviewed him at home for a series of articles on the lifestyles of the four individual Beatles, to appear in the London Evening Standard. When published in the United Kingdom in March 1966, Lennon's words provoked no public reaction. 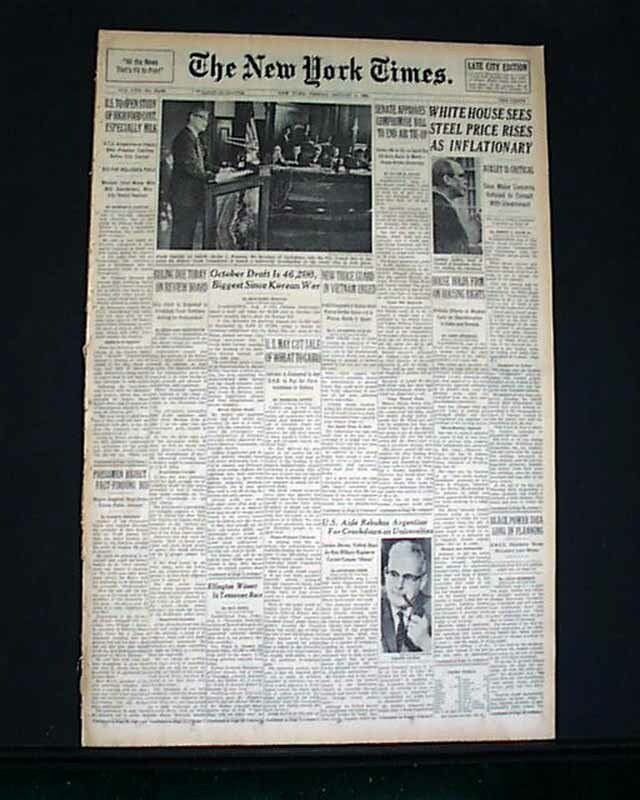 When Datebook quoted Lennon's comments five months later in August 1966, vociferous protests broke out in the southern United States. The Beatles' records were publicly burned, press conferences were cancelled and threats were made. The protest spread to other countries including Mexico, South Africa and Spain; there were anti-Beatles' demonstrations and their music was banned on radio stations. The controversy erupted on the eve of the group's US tour, and the anger and scale of the reaction led their manager, Brian Epstein, to consider cancelling the tour. 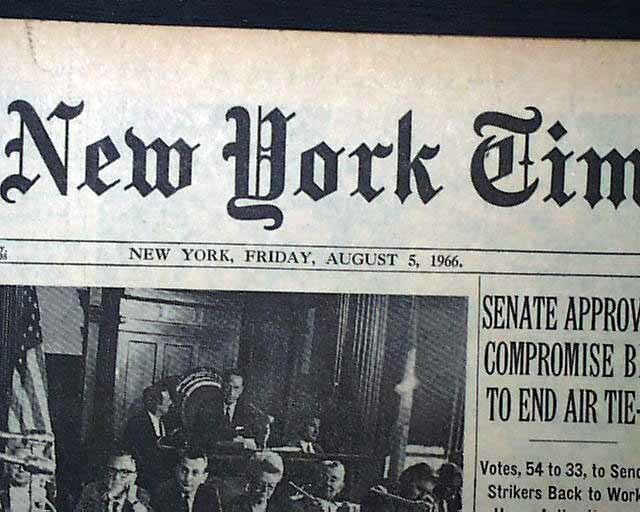 Two press conferences were held in the US, where both Epstein and then Lennon expressed their regret at words taken out of context and offense taken.